Referral program? Yes, pays 10% of your referral’s first cashout. Also will pay £20 if you refer a researcher who runs a study of a minimum of £50, plus the researcher will receive £25 to run the study. I joined Prolific as an additional way to do research studies outside of MTurk. 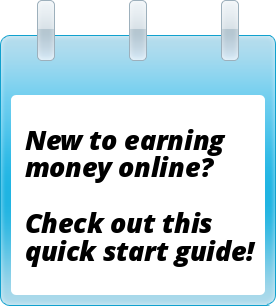 The studies are all very interesting, and the dashboard will show you exactly how long each survey is intended to run for, so you can get a good idea of what your time per minute earnings will be. The sign up is fast and easy, and it only took me five surveys to reach the £5 cashout threshold. 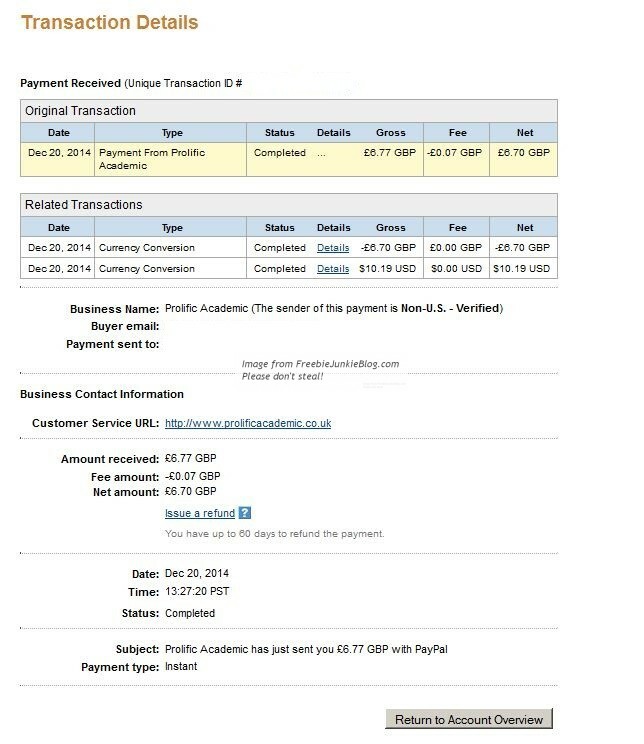 As you can see from the payment screenshot, as a US participant, I needed to have PayPal convert my GBP into US funds, and there was a tiny PayPal fee. I highly recommend this site! This entry was posted in $$ Received, Paid Referrals, Recommended, Surveys and tagged $$ Received, MTurk alternative, Recommended, Surveys. Bookmark the permalink.